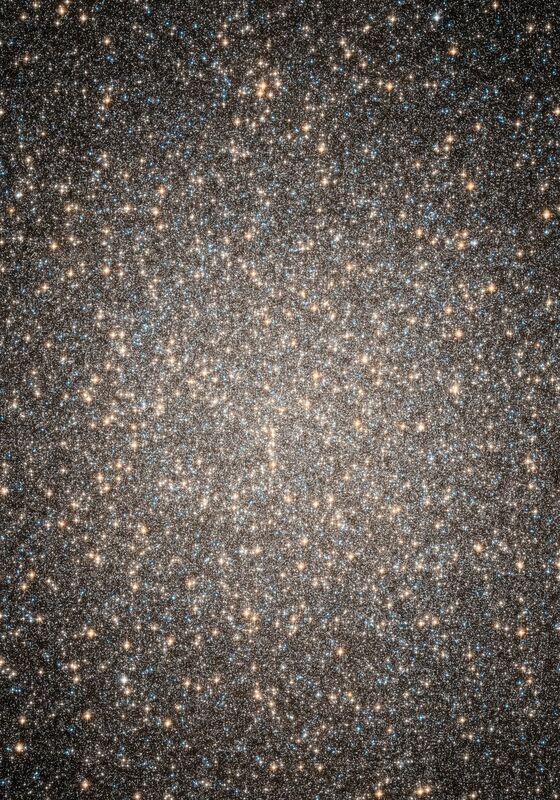 The core of the spectacular globular cluster Omega Centauri glitters with the combined light of 2 million stars. The entire cluster contains 10 million stars, and is among the biggest and most massive of some 200 globular clusters orbiting the Milky Way Galaxy. Omega Centauri lies 17,000 light-years from Earth. Astronomers Eva Noyola, of the Max-Planck Institute of Extraterrestrial Physics in Garching, Germany, and Karl Gebhardt of the University of Texas at Austin, have reported on the possible detection of an intermediate-mass black hole in the core of Omega Centauri. 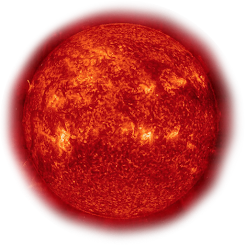 The result is primarily based on spectroscopic measurements obtained with the Gemini South observatory in Chile which suggest the stars are moving around the central core of the cluster at higher than expected velocities. Among the possible explanations for these speedy stars, and the one favored by their study, is that an intermediate-mass black hole of approximately 40,000 solar masses resides at the center of Omega Centauri. Its powerful gravitational field speeds up the motions of stars near the core. Astronomers have speculated for years that some globular clusters may harbor in their centers medium-size, or intermediate-mass, black holes with masses of some tens of thousands of suns. Medium-size black holes are much less massive than the supermassive black holes, which are up to billions of solar masses and reside in the centers of large galaxies. Hubble images taken with the Advanced Camera for Surveys were used in key areas in support of this study: to help pinpoint the center of the cluster, as well as to measure the amount of starlight at the cluster center. Using the European Southern Observatory's Very Large Telescope in Paranal, Chile, Noyola and Gebhardt are planning to obtain follow-up observations to help confirm the existence of an intermediate-mass black hole.